Rather interesting article written by a former Malaysian Diplomat on the rising influence of the PRC in Malaysia's affair. Even the most casual observer of our nation’s politics will not fail to notice the growing influence of China in our national affairs. Not a day goes by when reports of some new investment, some new deal, some new initiative by China doesn’t make headlines. Suddenly, China is everywhere and not in a small way. China is already Malaysia’s dominant economic partner – it is our second largest export market, is increasingly critical to the health of our tourism industry (4 million Chinese tourists expected this year), our education sector (10,000 Chinese students currently studying in Malaysia), and the sustainability of our oil palm industry. It will soon come to dominate our ports and railways as well as our housing and construction sectors. With the purchase of 1MDB-related Edra Global Energy Bhd. assets, it also became the second largest independent power producer in the country. In the next decade or so, it is estimated that China will invest, lend and spend at least half a trillion ringgit on infrastructure, property development and other projects across Malaysia. Never has our country seen this much money pouring in from a single source in such a relatively short space of time. Many, particularly those who stand to profit most from this new relationship, welcome China’s growing involvement in our country. To them, it is, of course, a once-in-a lifetime bonanza, manna from heaven, an unparalleled opportunity to make millions. They assume that what is good for them is automatically good for the nation as a whole. Consequently, many of our political leaders and business tycoons are falling over each other to sing China’s praises and highlight the benefits of the blossoming relationship. To them, China is a great friend, a powerful benefactor, a genuine economic partner, a benign political power. And they can’t seem to get enough of China. However, the sheer asymmetrical nature of the relationship as well as the enormous political and economic leverage that China now wields cannot but be cause for concern. And yet, concern is the one word that is missing from the lexicon of our relations with China. In our rush to embrace China’s largesse, we are being wilfully negligent of the political, economic and security implications. It is surely axiomatic that as China’s stake in Malaysia increases, China will be more proactive in our domestic politics if only to ensure the continuity of parties, personalities and policies that favour China. Malaysia, is in fact, far too important to China now to be left to the vagaries of Malaysian politics and the caprices of the local electorate. The clearest indication of this is China’s increasingly open and forthright endorsement and support of the UMNO-BN government, the most pro-China government we’ve ever had. In fact, it can be argued that China’s grand strategy vis-à-vis Malaysia is, in many respects, contingent on UMNO-BN remaining in office. It should therefore come as no surprise that we are now seeing Chinese diplomats not only attending local party political gatherings but also accompanying UMNO-BN politicians to political events and on constituency visits. Last year, for example, the Chinese ambassador accompanied Defence Minister Hishamuddin Hussein, MCA Deputy President Wee Ka Siong, and MCA assemblyperson Teoh Yap Kun on visits to Hishamuddin’s Semborong parliamentary constituency and Teoh’s Paloh constituency. Since then Chinese diplomats have been spotted with MCA Vice-President Chew Mei Fun in Raub (where she is rumoured to be the candidate in the next elections), with MCA Youth chief, Datuk Chong Sin Woon in Nilai, with MCA President Datuk Seri Liow Tiong Lai when he officiated the opening of a meeting of the Federation of Hakka Associations, and with Gerakan President Mah Siew Keong in Teluk Intan. And this is likely only the tip of the iceberg as many other visits go unreported. During these visits, Chinese diplomats routinely take the opportunity to praise the Najib Administration, stress the importance of the MCA and press the point that the Malaysian Chinese community has a lot to gain from the relationship with China that is now being developed. Having cast himself as ‘lord protector’ of the Malaysian Chinese community during the Petaling Street affair in 2015 and knowing the great importance Malaysian Chinese attach to Chinese education, the Chinese ambassador has now positioned himself as a champion of Chinese education in Malaysia. He has tirelessly criss-crossed the country, often accompanied by MCA and even UMNO politicians, visiting dozens of Chinese schools and distributing hundreds of thousands of ringgit in assistance and scholarships. He has also promised to initiate a teacher-training programme that could see PRC teachers in our schools. 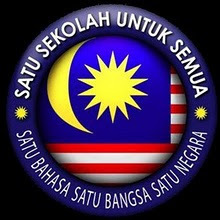 China’s unequivocal message to Malaysian Chinese, therefore, is that they must support the emerging MCA/BN-China alliance if they wish to safeguard their rights, preserve Chinese education, have a strong voice in government, profit from business with China and ensure that relations with their ancestral homeland remain strong. It is, as well, an exhortation to Malaysian Chinese to put aside their resentment and distrust of both UMNO and MCA and vote BN for the greater good of both countries. Clearly, if this shrewd political strategy succeeds, the main losers will be the DAP. But such is the power and influence of China in our domestic affairs that even the DAP has now been forced to moderate its hitherto principled opposition to the sheer lunacy of some of the China-related projects and make peace with the Chinese ambassador. All that this has accomplished, however, was to vindicate, in the eyes of DAP supporters, the MCA’s collaboration with China. The MCA, for its part, increasingly behaves as if it is but an extension of the Chinese embassy rather than a member of the ruling coalition. It recently established a PRC affairs committee as well as an OBOR centre and does more to promote OBOR than the Chinese embassy itself. Some would argue that these actions make the MCA the main vehicle of PRC influence and propaganda in the country today. And yet, these clear and troubling manifestations of foreign political interference in our domestic affairs, in contravention of established diplomatic practice, go unchallenged. That it is being done with the connivance of local political leaders does not make it any less troublesome. One can only wonder how the UMNO-BN crowd would react if the Australian or American ambassador urged Malaysians to vote for the opposition if they wished to safeguard their democratic rights. Once this door is open, there is no telling where it will lead to. 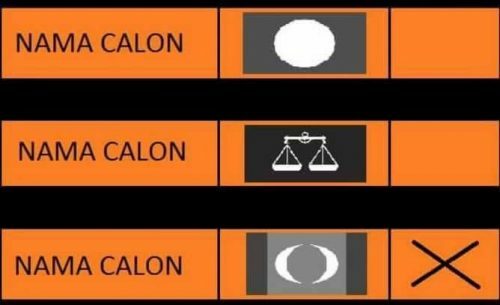 UMNO-BN politicians make a big fuss over trivial things like the paltry sums given to a few NGOs to promote free and fair elections by the Open Society Foundation but think nothing of facilitating a far more insidious form of foreign interference that threatens to undermine what’s left of our democratic process. The question now is how far China will go to protect its interests in Malaysia. Will PRC money come into play in the next elections, taking money politics to new heights? Will the upcoming elections be the first elections in Malaysia when a foreign power will be actively working behind the scenes to influence its outcome? The next general election is already shaping up to be one of the most critical we’ve ever had. The very future of our country is at stake – whether we will remain a secular democracy or not, whether corruption and cronyism will triumph over transparency and good governance, whether our constitution itself will survive in its present form. Certainly, too much will be riding on these elections for us to allow a foreign power to hijack them for its own purposes. And any political party which comes to power with China’s help will undoubtedly be subservient to China’s interests. What is at stake, therefore, is not just the sale of critical infrastructure assets but possibly the sale of the country itself. The fact that China is knocking on our doors at a time when our nation is at its lowest ebb renders us particularly vulnerable. We are today a nation more divided than ever before – not just Malay against non-Malay but Malay against Malay, Chinese against Chinese, Indian against Indian. It’s Muslim against non-Muslim, rural against urban, rich against poor. Nearly 60 years after independence we are still arguing bitterly about language, citizenship, education, religion and race while decades of racial and religious manipulation have left us wary and suspicious of each other. We are so untrusting of each other that we’d rather depend on foreigners than work together to find solutions to the pressing problems we face; we are so busy fighting each other that there’s literally no one to guard the front door. In the meantime, corruption and the abuse of power have rendered our national institutions and our political processes weak and dysfunctional, unable to provide the checks and balances, the steady hand, the careful and impartial analyses, the proper legal and regulatory framework that is a prerequisite for national resilience. When we find ourselves in a situation, for instance, where suddenly almost every single port in the country needs to be massively expanded with Chinese money or that we suddenly need not one but three, and perhaps four, expensive railway systems built by China, we have to wonder whether projects are now being driven by economic necessity or pure greed and foreign pressure. Many will, of course, dismiss these concerns as alarmist or reject them as anti-China or anti-government rhetoric. China’s growing influence in our domestic affairs cannot, however, be easily dismissed. It is alarming and Malaysians ought to be deeply, deeply concerned. At the very least, we ought to have an informed discussion of what is going on so that we understand all the implications and consequences and ensure that policies and projects serve the national interests rather than undermine them. It is simply much too important an issue to be left to vested interests to decide behind closed doors. It’s not about being anti-China but about being pro-Malaysia. It’s not about being opposed to good relations with China or being against Chinese investments; it’s about ensuring that relations with China do not come at the expense of our independence and sovereignty. It is most assuredly not about the loyalty and commitment of any of our own citizens or about marginalizing the very real concerns they have but about ensuring that a foreign power does not exploit our internal divisions to its own advantage. As well, this isn’t about being pro-West or pro-China but about ensuring that no country – east or west – dominates us to the point where we lose our ability to chart our own destiny. And if standing up against corruption, mismanagement, the abuse of power, the lack of transparency and the deliberate neglect of vital national interests makes one anti-government, than so be it. If China turns out to be unique among the big powers for its beneficence, munificence, generosity and respect for smaller states, well and good; but if not, then at least we’ll be better prepared to face the challenges ahead. Our nation now faces one of the greatest external challenges it has ever faced. The dangers are real. The stakes are high. There will be no winners save the corrupt, and a foreign power, if we fail to successfully manage this great challenge that lies before us. [Dennis Ignatius | Kuala Lumpur | 4th March 2017] Read in full here. Let us Malaysians be aware and be prepared to face future challenges.